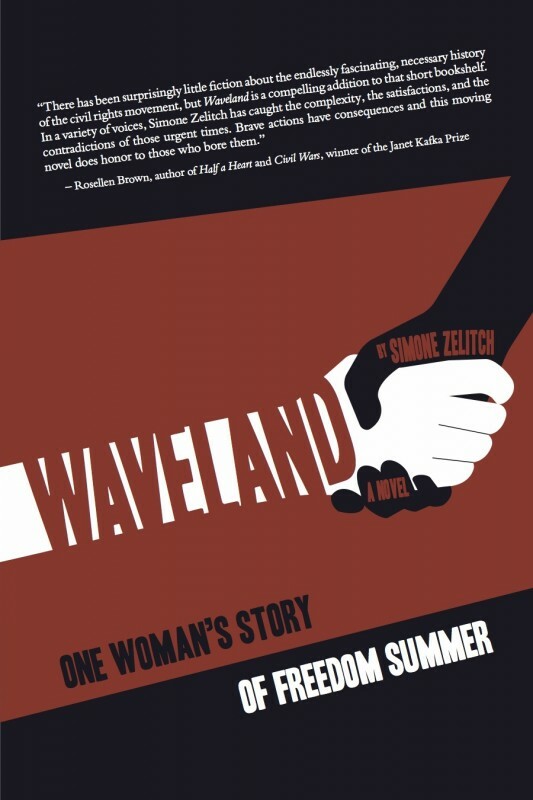 My novel Waveland is available at last! You can order Waveland from The Head and the Hand or Small Press Distribution. Yeah, yeah, it’s available on amazon, but I’m continuing to observe my one-woman boycott of that website, and I’m not going to send you there. FYI, the e-book will be available in a few months. 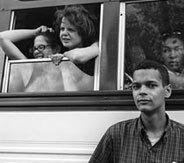 In 1964, A thousand college students went to Mississippi to call attention to that state’s brutal suppression of African Americans. They taught in Freedom Schools, and helped register voters to vote in an alternative election in the hope of challenging the legitimacy of the all-white Mississippi delegates at the Democratic Convention. Waveland is the name of a town in Mississippi where activists gathered in the aftermath of 1964’s Freedom Summer to discuss the future of what they called “the Movement”. My book focuses on a woman in the movement, Beth Fine—white and Jewish—an abrasive outsider who brings her good intentions to Mississippi as a summer volunteer. As a white Mississippi Freedom Summer volunteer, Beth both literally and metaphorically jumps into deep water without knowing how to swim. In the course of that summer and the years that follow, Beth tries to transcend the limitations of her good intentions. She believes in questioning authority, but as her commitment deepens, her questions change, and the nature of authority is harder to determine. Here are the first few pages of Waveland. There are some wonderful books about SNCC in general and Freedom Summer in particular. If you’re interested in the history of the organization, I would go straight to Claybourne Carson’s In Struggle. Other excellent books focus primarily on Mississippi. Two I found particularly wonderful were John Dittmer’s Local People and Charles Payne’s lyrical and moving I’ve Got the Light of Freedom: Mississippi and the Organizing Tradition. The two best books I know about Freedom Summer are both the work of SNCC women: Elizabeth Martinez’s fabulous collection of Letters from Mississippi and Sally Belfrage’s Freedom Summer. For true hard-core research, you can take a look at the fascinating University of Southern Mississippi archives. I had to drive down there, back in the day, and view this material on microfilm. Now, it’s digital. But heck. At least I got to rent a car in Memphis and travel through the Mississippi Delta, have a long talk with a white Jewish shopkeeper, and visit a hundred sacred places in a state that is filled with ghosts and heroes. A link to this video gives you a glimpse of some of those heroes. Robert Paris Moses,architect of Freedom Summer who rejected the concept of leadership and was the ethical compass for a generation of activists, has returned to his old roots as a Math teacher, and runs an amazing program called The Algebra Project. Dinky Romelly, daughter of author Jessica Mitford, worked in SNCC’s Atlanta office and is the widow of the late James Forman. I was moved to discover that she is now deeply involved in one of my favorite organizations, The Jenin Freedom Theater. Ron Beauchamp. Does Fay know about this?. Good stuff, btw. She doesn’t know, but of course, writers get to do that sort stuff. Glad you liked it, Ben.